Call 818-812-5639 or click here to reach out to our Worker’s Compensation Attorneys at Koszdin, Fields, Sherry & Katz in Lancaster. We have the experience and knowledge in this field to get you the results that you deserve. Our professional team will make sure that you are treated fairly and that your compensation reflects the desired finances needed for your injury. On behalf of Koszdin, Fields, Sherry & Katz posted in Uncategorized on Saturday, February 02, 2019. When you are injured on the job you should tell your employer immediately if you are capable of doing so. Telling your employer sets a clear understanding that some incident has occurred and that if there is a resulting injury then there will need to be a worker’s compensation file created. Common injuries are slip and falls, falling objects, and overexertion. Anyone can slip and fall. It doesn’t take a dangerous workplace to slip and fall while at work. All it takes is a little water on the floor or a misplaced rug. These kinds of accidents may seem small, but they can have a big impact on your body depending on how you land. Falling objects are riskier in more dangerous work environments, but there are always instances for people who work in retail or service industry. If you work in retail then you are more susceptible to things falling down off of shelves especially if you work in stores that sell furniture or home goods. Overexertion can be both bodily and mental. Bodily overexertion can occur when people work mainly with their bodies like a truck driver, delivery workers, or factory labor. Mental overexertion is recognized in California. Mental health is important and should be taken seriously. 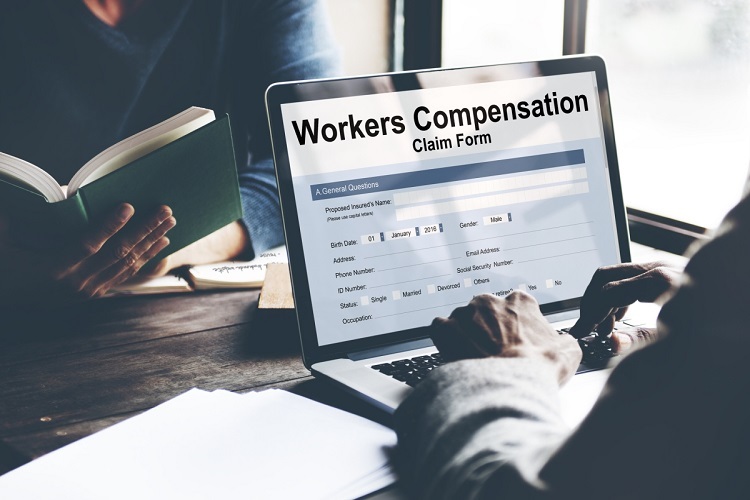 If you or a loved one is feeling as if they are overwhelmed from their job or if they suffered from a physical injury then there are three things you need to keep in mind to ensure that you are getting the most out of your worker’s compensation claim. Tell your doctor that you are seeking medical attention for an accident. In doing this you are making it official and your doctor can take special notes to ensure that your injury is getting tracked. Make sure that you are following everything the doctor tells you. By doing this you are showing that you are taking care of your situation and are not abusing the system. A medical examination may be set up for you by a third party doctor. The problem with these evaluations is that the doctors are typically working for insurance companies. Make sure that you bring someone with you to make sure that the evaluation goes well and the doctor treats you with the utmost standard of care. Denied or delayed. Just because you know that your injury is important doesn’t mean that your insurance does. Typically claims are approved by some arbitrary person. If your claim is denied or delayed, do not fret. There are options for you and you can still fight to get the compensation you deserve. Call 818-812-5639 or click here to reach out to our Workers Compensation Attorneys at Koszdin, Fields, Sherry & Katz in Lancaster. We have the experience and knowledge in this field to get you the results that you deserve. Our professional team will make sure that you are treated fairly and that your compensation reflects the desired finances needed for your injury.